ASHA Special Interest Group 7 affiliates seek to maximize communication and quality of life across the range of hearing and hearing-related abilities through aural rehabilitation and its instrumentation. 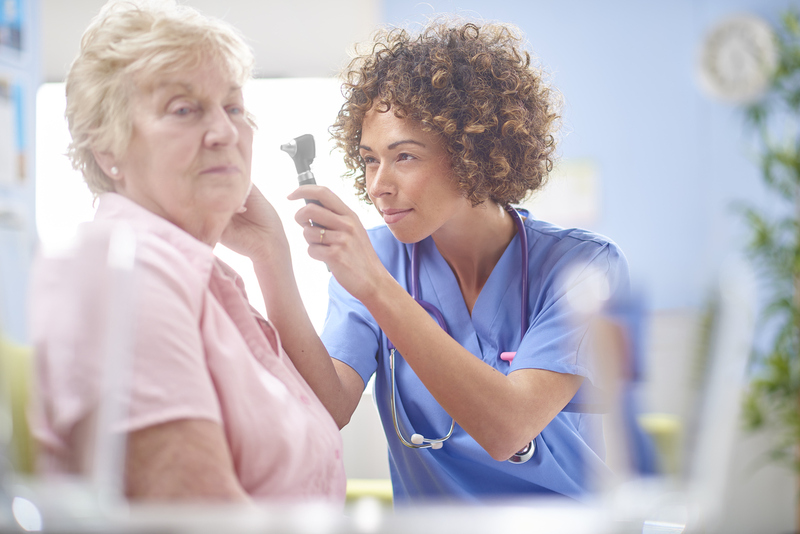 We asked audiologist Elizabeth Humphrey about her volunteering experience. I decided to join SIG 7 through a desire to network and learn from other professionals who have a similar comprehensive rehabilitative focus in their practice. I’ve been a member for three or four years now. I’ve certainly gained insight into ways to broaden my skills and the services that I can offer my patients through discussions on the community site and through resources in Perspectives. Additionally, I’ve learned more about the inner workings of ASHA and initiatives in place (or in development) that support the clinical focus of SIG 7. The SIG 7 Coordinating Committee is quite organized and we have great leaders at the reins who keep us on task and focused on our goals. With effective communication, healthy division of responsibilities, and monthly check-ins, our team gets the job done rather smoothly. Certainly the extra responsibility is tough to manage at times, what with a heavy work schedule and family commitments, but given that all committee positions are volunteer, we are supportive of one another in taking care of responsibilities in a timely manner. The benefits of being involved certainly outweigh the negatives of wearing an extra hat. Be on the lookout for articles from SIG 7 in an upcoming Perspectives, which will focus on “Technology to Enhance Aural Rehabilitation (AR)” this year! Check us out on the ASHA Community site—lots of folks there are ready and willing to chat about all things AR. Although not an article per se, I enjoyed the video “Reflections on Aural Rehabilitation: Interview with Mark Ross” with Kathy Cienkowski. I appreciated learning about how audiology and aural rehabilitation have evolved from someone who has been in the trenches as the patient, the practitioner and the researcher. Not only did I enjoy the message, but it was a novel, refreshing break from text on a white screen.